Back in October of last year Rihanna was spotted out and about New York City. 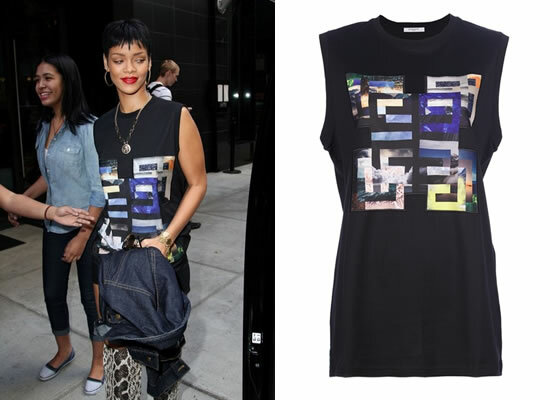 She wore a sleeveless tee by Givenchy and her favourite Tom Ford over-the-knee snakeskin boots. The Givenchy t-shirt features a twist on the brand’s iconic logo in a multi-coloured print.